Honda NSR250R and Suzuki RGV250, Are these legal in Ontario? Those are little 2 strokes 250cc and down and they are only useful in dirtbikes. 2 strokes above 250cc for motorcycles have a hard time competing with 4 strokes on all fronts -- that's why you don't see them anymore. I retired my last 2 stroke street bike 3 years ago, she was a TS200R. Great bike, parts became prohibitively expensive. The reason real dirt riders, not kids on dirt bikes, are buying 2Ts again is because a 2T dirt bike is just better. The 4 strokes don't have the power to weight ratio. A 4 stroke bike is heavier when compared to a 2T bike of the same HP (We'll just ignore the traction advantage that a 2T bike has on a 4 stroke and that tires last longer on a 2T). A 4 stroke is also more expensive to operate, harder to fix, MUCH more expensive to fix, much more expensive and complicated to "hop up" than a comparable 2T. Another good reason to run a 2T is, if done right, a 2T is quieter than a 4 stroke. REAL dirt riders care about the environment. For all the same reasons they use larger 2T engines in snowmobiles. Polaris and Skidoo make a 600 and 800/850 2T sled. The Skidoo ETEC 600cc makes 125HP and passes California EPA. WickedATV can make you a Banshee based 700cc screamer that will still win at the sand drags against the factory 4 strokes. I don't know where you're looking, but I see 2Ts all the time. I've owned an RG500. and a couple rg 250's (street & race). The 250 was my preference at sub 300 pounds. Plenty of power for the street. Lwt 2 stroke is a blast and keeping it in the powerband is not a problem for an experienced rider. Its actually part of the fun. Yes you can title those 250 street bikes for the road. Both my RG500 and RG250's were reliable. Took a tour to BC and back on the RG500. Street RG250 got new pistons/rings and crank seals at 20,000kms - was still running excellent, this was just maintenance, and its quite easy to do (on the 250). Both the 250 and 500 were properly jetted, idled perfect, never ran rough, never fouled a plug, never had a seize. Many 2 strokes were messed up by "tuners" who didn't know what they were doing. Yeah they eat fuel; but too much smoke indicates something is wrong. just my 2 cents. Dependability - few owners want open heart engine surgery ever 20,000km (Ducati owners excepted). The last gasp (outside of dirt bikes) was Suzuki's GT750 which did well with dependability & mileage. By the late 70's, advances in 4 stroke designs overtook the last hurdle, power to weight, for street bike applications. That was the end. Want to impact insurance reform in Ontario? SIGN HERE! We're supposed to be talking about NSRs and RGVs and TZRs. These bikes are no less reliable than comparable 4 strokes. These are quasi racers. They need maintenance, LOTS of maintenance, just like the comparable 4 strokes, like a RC30 or FZR250 or a more modern "full on" 4 stroke dirt bike. 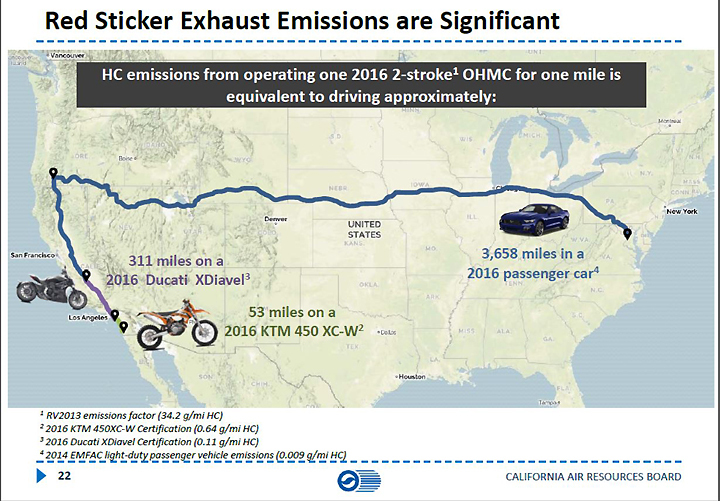 Emissions -- Did you miss the part were I told you Skidoo and Polaris sell 2 strokes that pass current California emission standards. The last gasp, of street bikes in Canada that pushed any boundaries, would be the '89 RZ350 (that carried on in Brazil till at least 1996). Yamaha stayed the course with GP bikes till the early 2000s, Honda and Suzuki; well into the 1990s. Aprillia and Rotax are still at it, bless their 2 stroke hearts. ... and a GT750 is a under powered tank and doesn't get anything like what we could call gas mileage. 490 lbs dry and about a yard across at the crankshaft. I have one. It's a tank, but a pretty cool tank. You could buy the RS125 and RS250 Aprillia in Canada until 2002. Aprillia and Rotax are still at it, bless their 2 stroke hearts. My tzr250 and gamma250 are my daily rides. I test rode modern supersport 600cc and 1000cc to see if I wanted to go back to a four stroke. NOPE. Too heavy and felt like I would have to get to hta breaking speeds to have any fun or putter around in 3 gears (been there, done that). The NSR250 has always been the bike I've lusted after. Two strokes aren't for everyone, that's for sure. But it'll be a cold day in HELL before anyone takes mine away from me. Thought this video was relevant to the topic. Loved my rg 500 power wheelies in 3 . New rings over winter $200 and good for another year of racing. If someone built a modern 500 2stroke I would buy that over any 1000 four. But I love 2 stokes. I was talking about 2 strokes in general, not just the small racebikes. There is just no way you can get 2 strokes to run as long between rebuilds, even with modern 2 stroke lube you're lucky to get 1/2 the miles of a 4stroke. Agreed, but both come with a dependability and maintenance cost. Ever see a top end that had a reed or powervalve for breakfast? Hmmm, I thought I was being kind on the fuel economy. My TS200r reliably used 7.5l/100 - the KLRs around me were a dependable 5l/100. My math pegs pegs that as 50% more fuel for the 2 stroke. The 250 stroke SS bikes get about the same, 7.5l/100km - compare that to a 400cc Ninja at 4l/100, that's about about 85% more fuel for the 2 stroke. 2 stroke snowmobiles are classified quite differently - the fleet size is small which is a factor in computing limits. I believe California has limited all 2 off road stroke motorcycles (RED STICKER BIKES) to closed course racing. *converted off limits based on time and BHP, normalized to 75HP and 60MPH. I agree they are cool, if I didn't have a garage full of silly antique bikes I just might own one of those. The GT750 is a textbook study of why 2 strokes died off. To make it dependable and reasonable on fuel, the GT750 had to be tuned way down and made heavy by water cooling. The power to weight ratio advantage disappeared, powerband issues, emission issues and economy remained a challenge. The GS750 that replaced the GT750 had almost exactly the same specs, performed better, was easier to ride, longer lived, and had much better emissions. The current bikes sold in Europe must meet Euro 4, basically anything with two wheels and street legal. So the new line of KTM street legal enduro dirt bikes with TPI 2T EFI is compliant. Really no different than your 4T bike .... Just so we are clear what is exactly possible today with a bit of development after long time running the carbs in 2T. Who knows what else they could do, if they really wanted or were allowed .... just saying. Too late for that now, in my opinion ... as the new tech will roll over anything with ICE anyways. Just a matter of time. That's a silly picture and argument ... 1) considering the dirt bike will do on average about 500 - 1000 kms (most weekend warriors) per bike ... 2) There's very small amount of these dirt bikes on the road vs. the millions of cars of which most are CUV/SUV,Trucks ...... so what will the map look like once we consider miles driven per year??? These were the best of the JDM 250s, and in a rare colour. Someone mentioned the GT750, This is mine - not entirely mild mannered with Jemco pipes. Actually the 2009 RS125 was sold here as well. PM to buy some ACF-50 rust protection spray. Someone tell me why I shouldn't buy this. It's only at $1000 right now. Other than that my gf will leave me. That's not a good enough reason not to.